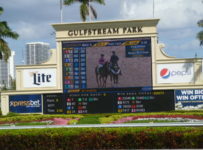 When Gulfstream Park resumes racing on Thursday, it will have a Super Hi-5 carryover of $41,882.59 on the first race. First post is 1:15 p.m. for a ten-race card. 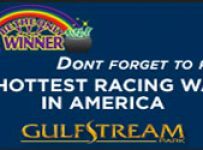 There will be a carryover of $8,218.74 on the Rainbow 6. It will be on races five through ten. 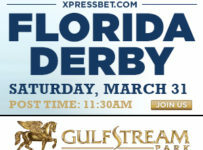 On Tuesday, we will have stories with additional details on the exotic bets and on upcoming races at Gulfstream.